1.To promote and popularize handbell music in Hong Kong. 2. To raise the standard of handbell performance in Hong Kong. 3. To develop the art of handbell ringing and music education in Hong Kong. 4. To foster exchanges among local handbell ringers and overseas/mainland Chinese ringers. To promote and popularize handbell music in Hong Kong, we have put in huge efforts over the years. Handbell music is now well developed in Hong Kong. I feel very excited as I witness a continuous rise in the handbell performance standard and increase in the number of local handbell groups. I am also delighted to see that the Hong Kong Handbell Festival has flourished from a single competition to an annual gala that includes concerts and workshops for handbell lovers over the years. With the support from schools, our youths have more and more opportunities to be acquainted with handbell music through participation in handbell teams and inter-school competitions. Handbell has helped to form a strong bond among ringers who share the same passion and artistic pursuit. 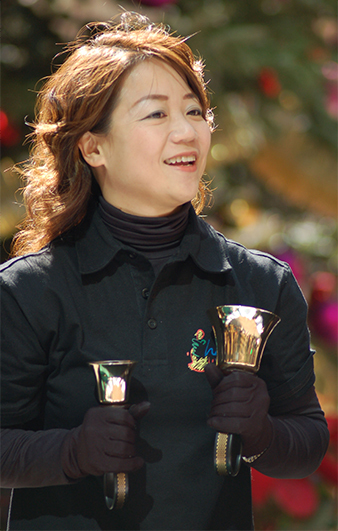 For dedicated teachers and conductors who have put in great efforts in their handbell teams, we organize various handbell workshops for them to refine their skills. I hope that these workshops can provide them with new insights and techniques that can be passed on to their handbell teams Together, we can raise the standard and quality of handbell teams in Hong Kong. We feel honoured to be able to invite many overseas handbell professionals to Hong Kong to attend different kinds of handbell activities. As they acted as our competition adjudicators or concert conductors, they expressed a high degree of appreciation for Hong Kong handbell teams’ determination to strive for excellence. I am sure that students and handbell lovers have learnt a lot from them and I believe that such exchanges is a big step forward for Hong Kong handbell to move into the global scene. 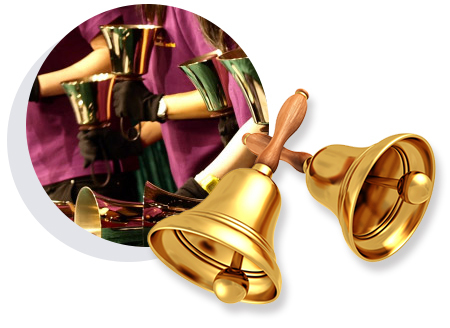 Organizing handbell concerts is another way to enhance handbell performers’ skills. An increasing number of handbell concerts by different schools and handbell teams have been held in Hong Kong. The diversified styles of music and techniques showcased can definitely guarantee visual and aural enjoyment for Hong Kong music lovers. Finally, I would like to express my sincere gratitude to all handbell performers, their family and friends. Your support and participation have helped to leave a remarkable legacy in Hong Kong handbell’s history. I hope that together we will be able to let everyone around the globe share our joy and passion for the unique sounds of handbells.